Gone to See the Caribbean Islands. Semester at Sea Spring 2010 Enrichment Voyage on the MV Explorer. Ultimate Travel Photography Workshop with Michael Mariant. Day 9: At Sea. 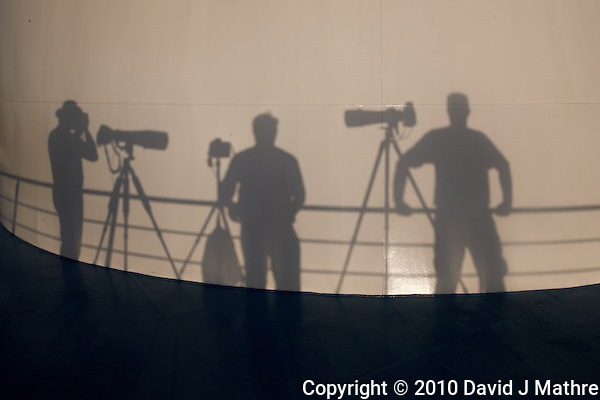 Silhouette of three photographers (Rick Hulbert left, myself center, +Albert Esschendal right) on deck 8 of the MV Explorer photographing sunset in the Caribbean Sea (between Trinidad and Bonaire). +Winston Hall taught me to always look behind because there may be a better image.